Your Challenge: to gain maximum visibility into your infrastructure, on-premise and in the cloud, to optimize computing capacity across your entire business. Capacity management is yet another balancing act you and your IT team must perform successfully. Under-provision computing resources and productivity for your entire business can suffer. Over-provision those resources and your business suffers instead from reduced return on its IT investments. You require skilled personnel with a good understanding of your business, its technology estate, and how those IT resources are utilized. Fusion Capacity Optimization as a Service (COaaS) has been specifically designed to meet the needs of capacity managers and business service owners. Fusion COaaS delivers the control you need to provision IT resources accurately across your business, even as demand ebbs and flows. 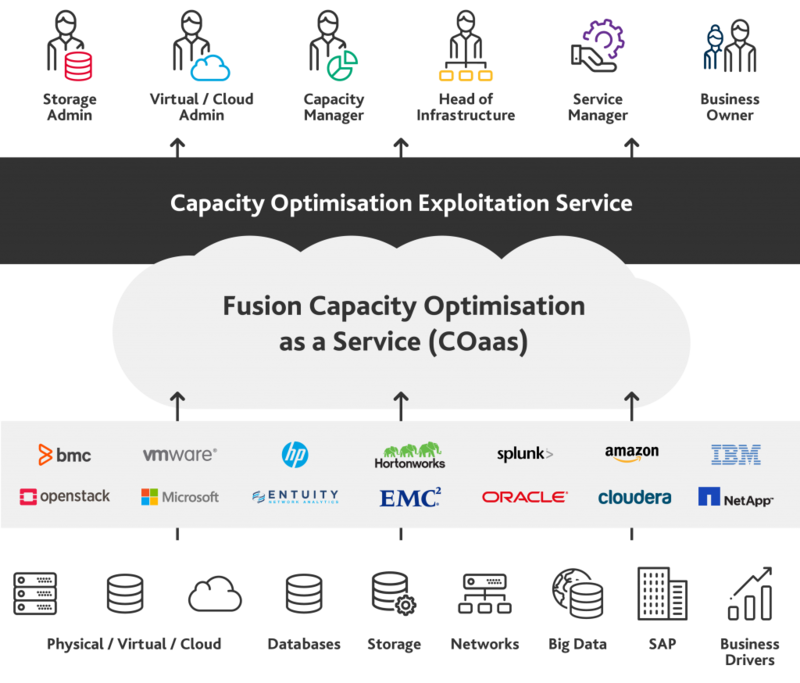 Fusion Capacity Optimization as a Service (COaaS) gives you visibility and control over multi-cloud costs and enables insight into and control over capital and operating expenditures. Available as a cloud-hosted or premises-based solution, Fusion COaaS provides a flexible, dependable, low-risk option for capacity management that offers significant business benefits. Fusion COaaS supports multiple cloud platforms, for maximum control over your cloud-based resources and their return on your business’ investment in them. 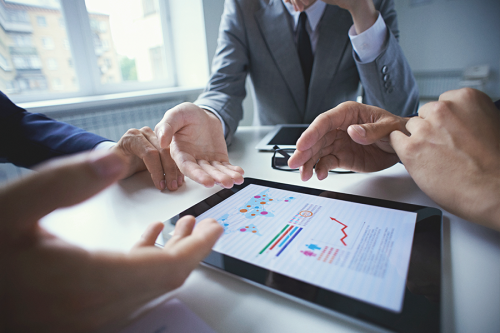 Fusion experts in capacity planning and COaaS work with your team to deliver results. You and your team solve performance problems and assess future capacity needs without having to manage the underlying technologies. You can immediately scale your capacity management efforts to bring best practices to your entire environment. A flexible pricing model helps to meet your business requirements. Download our Capacity Management datasheet and learn how our Capacity Management as a Service (COaaS) can save you.